Officine Sandrini’s Struktura Hanging Stairs Collection are built to reinterpret a classic choice in an elegant and refined way. Glass is a very bright element that can always give a chic effect to the environment. 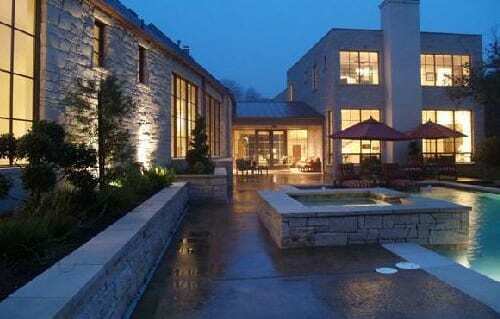 Interior decor, furnishings and design are all terms that imply and require a choice. Basically, this choice is about the style, the print we want to give to the home by choosing the furniture, painting, furnishing accessories, design objects, and the most architectural elements of the house, such as doors, fixtures and stairs. Choosing to use glass in your interiors means furnishing with lightness, making the closures of the spaces evanescent. 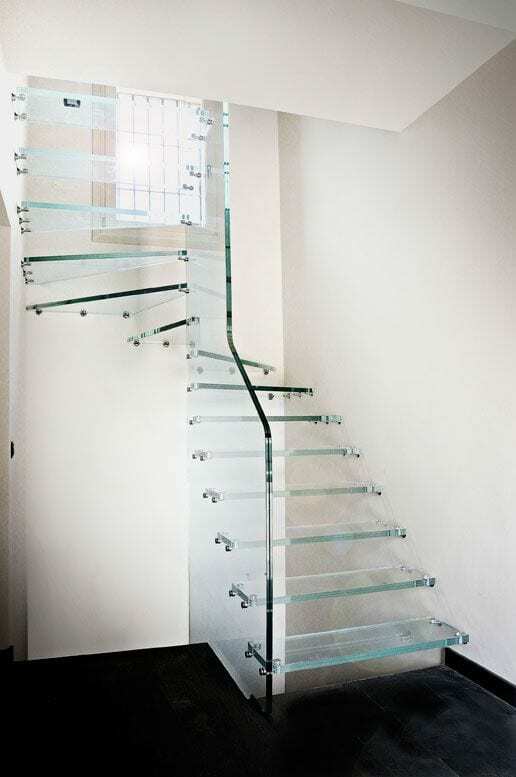 Officine Sandrini developed the Struktura Hanging stairs collection as, basically, a modular glass railing system that can be easily assembled by the homeowner, business owner, or contractor. The Struktura Hanging Stairs collection adds its own particular ambiance to a residential or commercial structure and do not require special maintenance other than cleaning more often then usual to preserve their cool effect and transparency. Struktura uses a sophisticated and light design for a hanging stair made of structural glass where transparency and the play of light are its strength keys. Officine Sandrini invites the client to adopt a different view over interior design combining transparent and precious materials to create a unique ambiance. The Struktura collection is a piece of furniture truly customizable to meet everyone’s needs. The stairs are built with various widths, between 60 to 120 cm, various heights and they can have different shapes like upright, helical, circular or even mixed shapes. Modular staircases appeared initially because of two factors: space saving need and lower prices then custom built staircases. Nowadays people are bolder, more design enthusiasts and they either want to save space for the sake of space, or they want to create grand and elaborate structures in the comfort of their own homes, the price is no longer the main factor and this is also reflected in the Struktura’s design.